Andres Manuel Lopez Obrador is the newly elected president of Mexico. He worked as the Head of Government of the Federal District (Mexico City) from 2000 to 2005, before resigning to run as a candidate in the 2006 and 2012 presidential elections, representing a coalition led by the Party of the Democratic Revolution (PRD). He is today the leader and founder of the National Regeneration Movement (MORENA). What Can We Expect from AMLO’s Presidency? Looking at social issues, such as abortion, gender equality, LGBT rights, worker’s rights, what can we expect from AMLO, Mexico’s new left-populist President? During the recent Mexican elections, Daniel Eltringham travelled to the country. 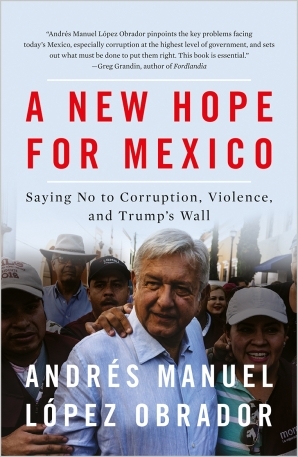 In this blog, he explores the ascendancy of Andrés Manuel López Obrador, the anti-corruption candidate, which signals a sea-change for Mexican democracy. John Holloway and Raquel Gutierrez reflect on the mood of hope in Mexico after the inauguration of President Andrés Manuel López Obrador (AMLO) on 1st December.